to ensure your relaxation and comfort are met during your Tyrolean VACATION in the Oetz Valley. Our recently renovated Family orientated GUEST HOUSE is situated in the quiet location See, a little above the lively HOLIDAY RESORT, SOELDEN. The NEW MODERN VACATION APARTMENTS are suitable for 2 - 5 people, with Traditional decor in all rooms and are designed to help you relax and unwind during your stay. In SUMMER guests can direct from our accommodation immerse themselves in the Oetz Valley Mountain Environment and in the Winter you are only a few minutes walk from the dream ski runs (skipiste) and a most spectacular SNOW PEAKED landscape. 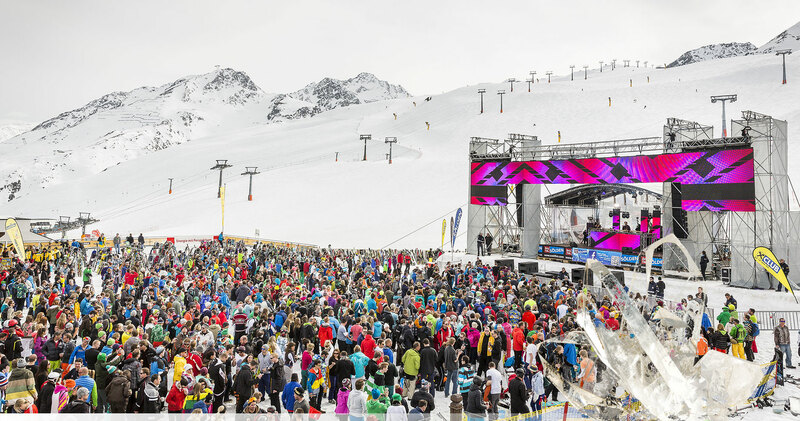 SÖLDEN too hosts annually at the end of October the opening ski races for the FIS World Cup, SKI WORLD CUP, SOELDEN. Come and see the professionals for yourself. In summer with the all inclusive OETZTAL PREMIUM CARD (ÖPC) included in your accommodation price there are loads of activities for families & the sport enthusiasts! Easy to navigate family designed THEME TRAILS where one can learn about the native flora and fauna, or for the more sport orientated mountain climbers, it may be the challenge to emerge yourself in a mountain world over 3000 metre above sea level. There is something for everyone in this AUSTRIAN paradise! Maybe cycling is your thing? Mountain Biking is growing fast since the inception of our very own „BIKE REPUBLIC SOELDEN“! Our home grown mountain bike enthusiasts ensure there are Trails (SINGLESTRAILS) through our beautiful natural environment suitable for the entire family and for the extreme scene biker. Our region is too world renowned for the annual road cycling race, the Oetztaler Radmarathon! For those who prefer motorised riding we also host the ÖTZTAL MOPED MARATHON (ÖMM) which covers the same 258 km cycling marathon! The increasingly popular modern Water & Activities Park „Area 47“ is a hit for all the family, young and old! We have the unique accomodation location for your Tirolean holiday experience, come and join us in the Oetztal Valley, Austria. Our recently renovated (Summer 2014), family run Apartment house now consists of a range of 2 – 5 person modern apartments. Situated in the quiet location of See (10 Min. by foot), a little above the lively town of Soelden with access to ski pistes and hiking or Singlestrails (mountain biking trails) close by (2 - 3 Min by foot). Our aim is to offer guests modern, comfortable quality apartments and facilities with all the conveniences you would expect for summer or winter holidays in Sölden & the Oetztal Valley. We have that unique location for your Tirolean holiday experience in the Oetztal Valley, Austria. The Ötztal Premium Card is available from early June to early October and is included in the accommodation price.